Working with collaborative design platform, InVision, Medibank recently redesigned and personalised its digital platforms in order to help users navigate in a direction relevant to their needs and therefore increase customer engagement with its health insurance products. Like many large, compliance-heavy organisations, Medibank had a number of offerings, a number of different consumer groups, and as a result, a number of different Web pages. As Medibank head of user experience and design, Peter Caddy, explained, this fragmentation of technology and funding led to a fragmented user experience (UX). In an industry where differentiation between products is hard to find, differentiation of UX needed to be the standout offering. “Digital in the enterprise, as with many enterprises, had been set up to be a marketing and communications channel, not as a digital product or innovation function,” Caddy told CMO. “What that leads to is different portfolios with different needs, and being funded separately, resulting in a fragmentation of technology and UX across different parts of business. So how do you do digital transformation when everything is a mess? It was a very real challenge. Over an 18-month period, Medibank looked at thousands of Web pages, some of which Caddy admitted the team didn’t even know were there, pulling it all together and identifying common tech capabilities. This led to developing a language for design and interaction, and a more consolidated technology and design platform. Once rolled out through the group CMS, the businesses can work to do their own A/B testing of content and different multivariates and optimise different parts of the site but in a way that minimises fragmentation. “It was a huge challenge, but we tackled it through changing our technology, design, and our digital operating model, simultaneously," Caddy continued. "Businesses talk about design-led thinking, but what they are really talking about is changing how funding and teams work. We pulled all three levers at the same time to pull this off. "We used InVision as our primary platform for sharing and prototyping those experiences and to consolidate stakeholder feedback as well as getting customers involved." Getting the spend approved was a challenge as well, but as Caddy pointed out, consumer expectations are changing and businesses have no choice but to keep up. “Most board members generally see the digital asset as a channel to market, rather than as a direct revenue creating product, so it can be hard to get investment. But customer expectations are being driven up, and we can’t just do a single project to address that, we have to change how we are working, and the relationships we have from the ground up," he said. Medibank’s approach to mobile UX was straightforward, aimed at securing the smoothest, frictionless UX in the mobile space. The exceptional results more than justify the spend, Caddy said. “There’s not a huge differentiation in products among competitors due to regulation. Where you differ is in making it lovely to use. This could be by removing the need for a name and password every time you open the app, and replace it with a touch or pin,” Caddy explained. “We looked at where Apple and Android are removing friction, and implemented this in our app." This has resulted in a 23 per cent growth in unique devices accessing Medibank digital in 2017, up 1.6 million. 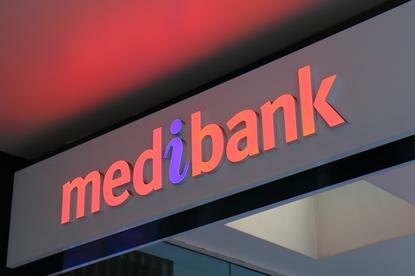 Caddy also noted 40 per cent growth year-on-year of policies registered for the My Medibank portal. Not bad for a business with a lot of longer tenured, older customers who don’t even have a mobile, let alone an app. Login time was reduced by over five seconds. Medibank also reported it is up 17 points in its digital Net Promoter Score (NPS) and 21 points in ‘using extras’ NPS scoring. There has also been a 65 per cent call reduction to call centres and 230,000 organic app downloads. “It came back to starting with all the simple things customers think they should be able to do online,” Caddy said. “You’ve got to start by looking at what the service it is you are offering and how you offer that digitally. You do have to look at the common capabilities and invest in building the system, and it needs to have collective ownership, but if you do it, the return is phenomenal." Next up is how Medibank works with the system and consolidated tech platform and govern that across the businesses.